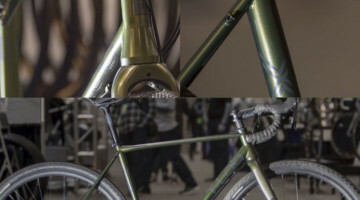 During Interbike 2014, we revealed a First Look at the 2015 Jamis Supernova Team cyclocross bike. 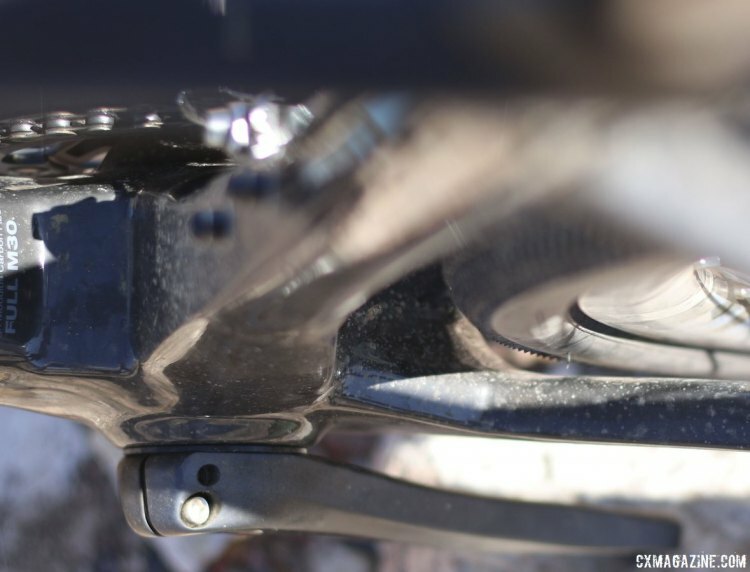 We were also were able to get a sneak peek of their newest adventure bike: the Renegade. 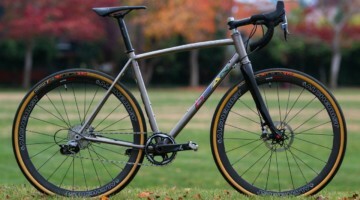 Even a cursory glance will show that Jamis didn’t just take their cyclocross geometry and dress the model up as an adventure bike. The differences of the Adventure Omniad are stark by comparison, with intensely sharp lines as opposed to the softer touch of the Supernova. 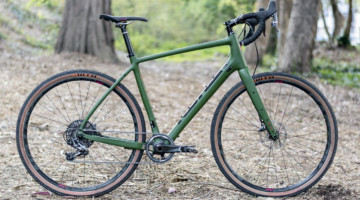 The geometry underlying the Renegade is exactly what you expect in a bike designed for gravel roads over muddy courses: the bottom bracket is lowered and the head tube is more relaxed, putting a premium on all-day stability over the snappiness of a 45-minute race. 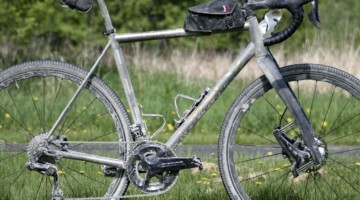 Don’t be fooled by the cleanliness of the bike. On both the front fork and the rear dropouts are hidden fender mounts that can also be covered from the grime and dust of the trails when a fender is not employed. 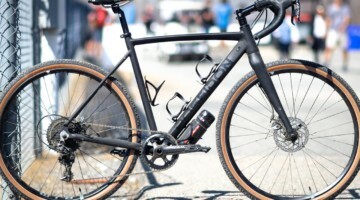 Jamis brags that the Renegade can fit “full-bodied 40c tires” on the bike, although Clement’s X’Plor USH 35c did look like a snug fit on the demo model. 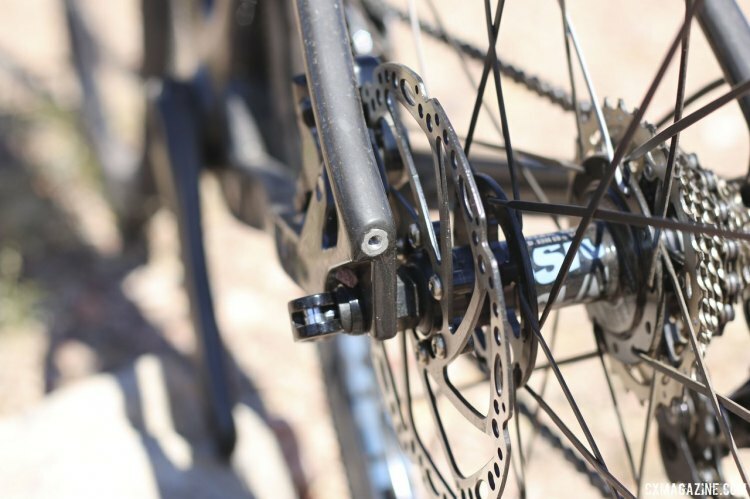 When developing the geometry, Jamis opted to go with different measurements for different sizes, with three separate fork offsets, three different bottom bracket drop lengths, three different rear-center measurements, and two different rear triangle sizes. 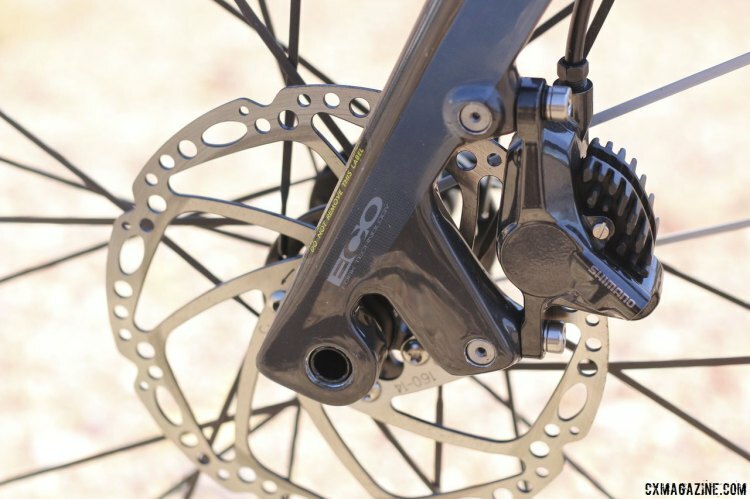 Their ECO fork (Enhanced Compliant Offset), sweeps the forks forward a few millimeters for extra comfort and control. 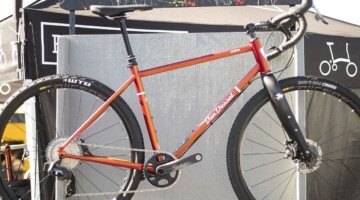 The Renegade will come in six different sizes: 48, 51, 54, 56, 58 and 61. 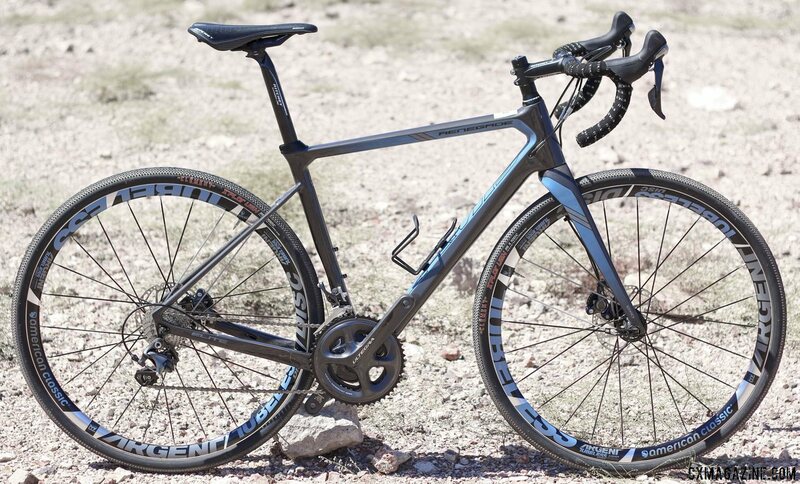 All builds come complete with Ritchey’s Vector Evo, which is a better choice for an all-day saddle rather than the racier Fizik Aliante Delta that comes on the Supernova. 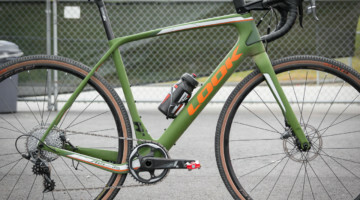 The rear seat stays are the most notable departure from the cyclocross model as it meets the seat tube well beneath the top tube. The stays themselves also appear narrower to handle the different conditions of an adventure race instead of the jarring, technical sweeps of a cyclocross course. 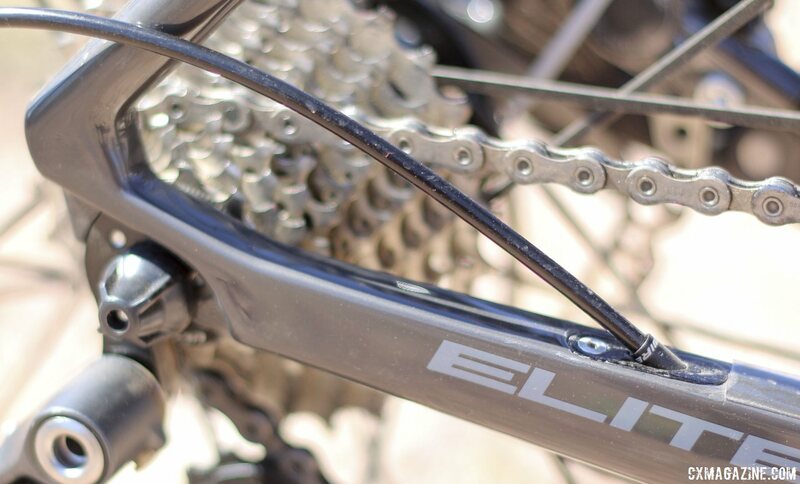 The Renegade Elite also comes fully built with a Shimano mechanical Ultegra 11-speed drivetrain. 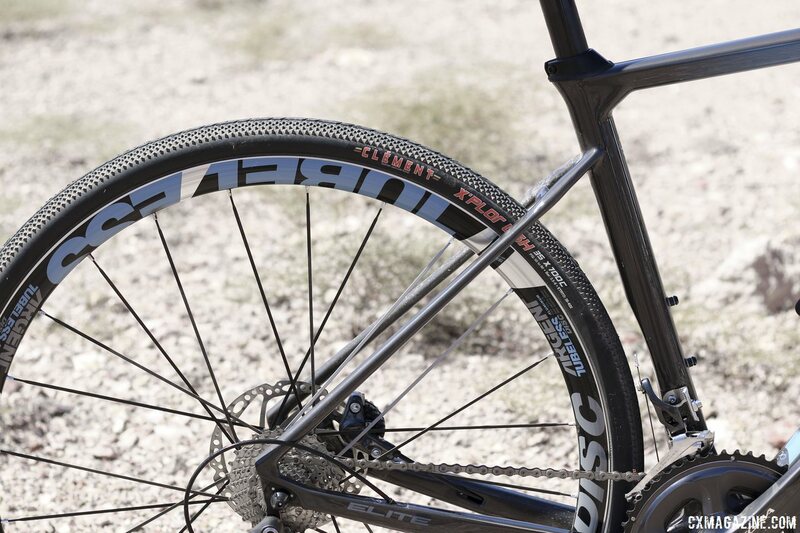 The biggest commonality between the Supernova and the Renegade is Jamis’s choice of wheels. 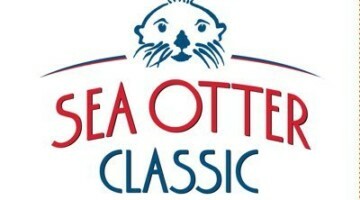 They went with American Classic’s Argent Tubeless Disc wheels, with a rim width of 22mm and depth of 30mm. 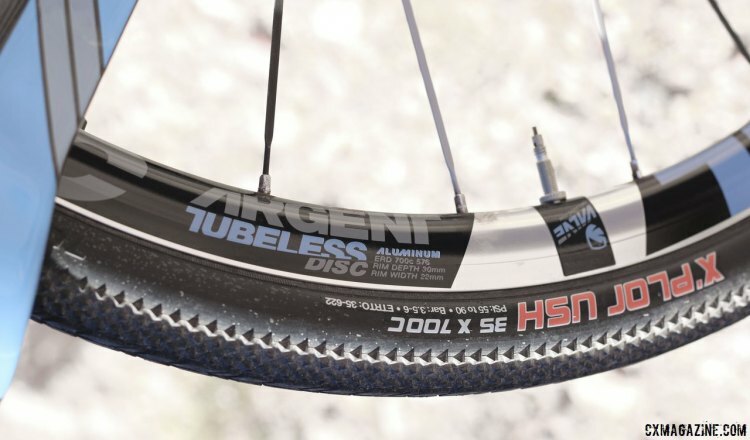 While many riders are starting to see the benefits of tubeless setups for cyclocross, the stock American Classics will likely be more universally welcome for the adventure bikes like the Renegade. 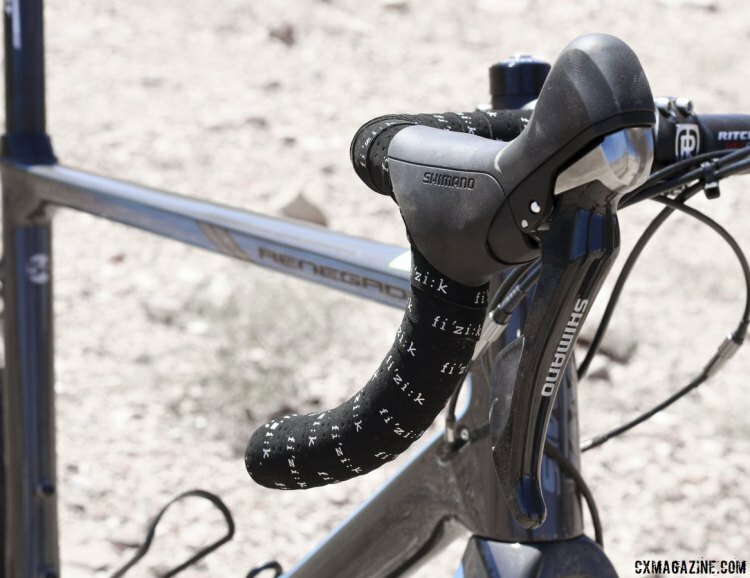 Jamis also included their Adaptive Cable Entry (ACE) cable routing system, which is all internal, including a completely enclosed BB guide. The price on the Renegade Elite will come to $4,199. 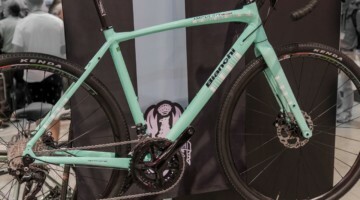 They will also offer an Expert version for $2,399, which will come with a different grade carbon frame, Shimano 105, and TRP HYRD brakes, which are hydraulic calipers actuated by mechanical cables. Although the tires will be the same, Jamis also keeps the cost down with going to the Alex ATD 470 Disc wheels, also tubeless compatible.